Repair corrupted or damaged Adobe PSD or PDD files. Is there a better alternative to Remo Repair PSD? Is Remo Repair PSD really the best app in File Management category? Will Remo Repair PSD work good on macOS 10.13.4? Remo Repair PSD is the widely acclaimed and reviewed utility that can successfully repair PSD image files. Usually, picture lovers or professional photographers employs Adobe Photoshop to alter or enhance their photos in numerous ways. But do you know most Photoshop users eventually find some of their PSD files inaccessible? Well, no matter how complex the issue, this robust PSD repair tool is capable of correcting every PSD-related problem. Photoshop users spend hours transforming their images, but what good is all that work if the files refuse to open? Sometimes PSD files suddenly stop responding due to various scenarios such as corruption to the Adobe Photoshop application, damage from viruses, abrupt system shutdown, download error, etc. In all such cases, only Remo Repair PSD can give you an accurate repair outcome for damaged / corrupted PSD files. 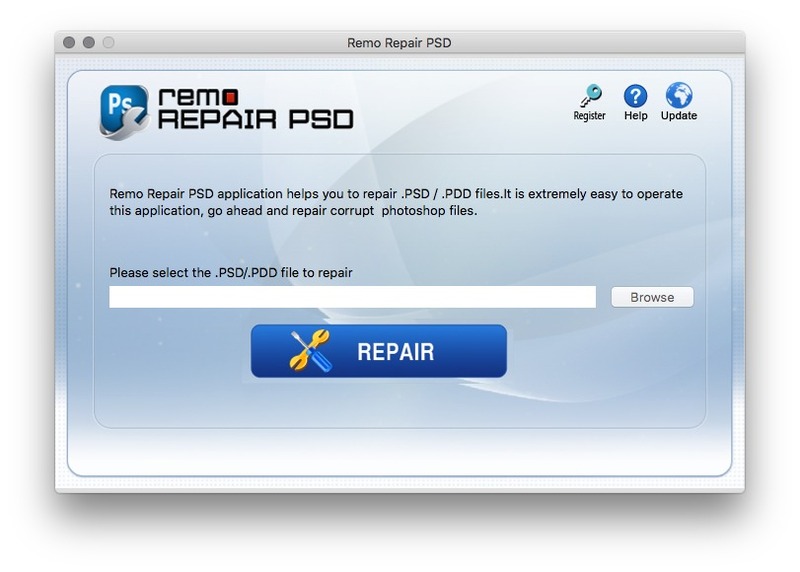 Remo Repair PSD can repair corrupted PSD/PDD files on the latest Mac systems. It can fix PSD or PDD files created on most currently available Adobe Photoshop versions: 5.5, 6.0, 7, etc. This PSD fixer tool repairs .psd while maintaining the color mode, and even restores divided layers (layers and masks). It has a "Preview" option to show each repaired PSD file before committing to a repair.